Surprise! I enjoy speakers more than headphones…usually. Despite my self-proclaimed hefty experience in the headphone world as a reviewer, my humble beginnings started with high-end speakers. Most of my experience in the Audio universe revolves around said speakers, so in other words, I am a huge damned speaker snob and equally proud of it. 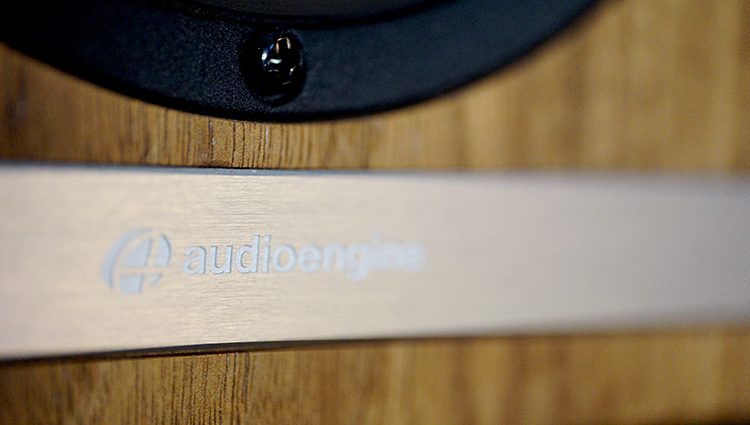 If you know me, you should be aware that I enjoyed my Audioengine A5 speaker’s something fierce. Once I moved to a smaller condo, I had to chuck my larger, floor standing speakers after my elderly neighbor complained that the bass was disrupting her crocheting time. Naturally, it was just fine for her to promptly blast her television at 4:30AM every morning because she was hard of hearing. That adorable little vampire is…still around, still blasting religious programs at 4:30AM on the nose…every…single…morning! Anyhow, fast forward a bit to a few years ago and with the release of the Audioengine A5 speaker. I churned into a happier man living in a happier time until the “Association” banned loudspeakers from being used where I live. The Condo Association (Satan taking the form of elderly social justice warriors who demand you listen to their rule of law or else lose your home) allows me to use smaller, bookshelf type speakers these days. But what speakers did you have before the old people made you get new speakers!? Magnepan 1.7’s. I know. It is okay if you need a minute, go ahead and get some fresh air after reading that one. Passive Speakers are fun, nothing more needs to be said. With more power comes a more firm tone and usually bass weight, similar to Planar Headphones or difficult to drive Dynamic drivers in general, at least most of the time. Speakers are no different. Not enough juice and you get an emaciated sound. Too much and you might risk overblown bass and dynamic impact. Both of those latter qualities are qualities I hate with the fury of a neutron star going nova. Enter the HDP6: Audioengine’s smoothest speaker to date that doesn’t really benefit much from more than 120w per channel amping. Basically, what that means is that some careful thought and design intent is what fueled this speaker. This was a passion project, that much is clear. All one needs to do is power this model on and, assuming you’ve heard previous Audioengine speakers, you’ll know instantly why this one is special. To be fair, I may have expected way too much of these speakers when I first experienced them. Having read their statement about staging size and how these smaller, bookshelf-ish HDP6’s were supposed to recreate a very large sound field, I’d gotten overly excited, to say the very least. I expected massive bass, or at least excellent response. Instead, I got good levels of bass response and less than stellar levels of quantity. This speaker reminds me a lot of the HD800 headphone and how it portrays low end. Sure, the drivers themselves audibly react to bass in the track and you can hear when a deep low end is being called upon, but the physical quantity itself is simply too lacking in comparison to the quantity of midrange, treble, and staging offered in the experience. It is as if someone at Audioengine sat at the design table and insisted they tone back the bass quantity to not follow suit with the rest of the experience. Clean bass? Absolutely, very nice in that regard for speakers of this price. But, I fail to understand the reason why these drivers were tuned with a relatively thin low end. These are meant to replace both bookshelf and home media 2.1 systems, that much is very evident. Why have a billion dollars, when you can have a million! In my mind, I kept fantasizing about a scene from the movie Austin Powers that had a similar setup to that, where the villain asked for less money as a ransom, instead of more. The analogy comparison here being Audioengine giving us much less on the bass end than they should have. I see no reason to tune to the bass of these speakers in this manner, especially not in today’s market. The lacking bass experience reminds me of speakers in the middle tier from 20 years ago and in my opinion do not belong here anymore. The reason I state that so harshly is because the bassy end of this speaker is so obviously warm and musical, that I attribute the lack of quantity to something like an Audeze LCD3 not having good bass quantity. Could you imagine that? It would certainly be weird, wouldn’t it? Surely, it would. 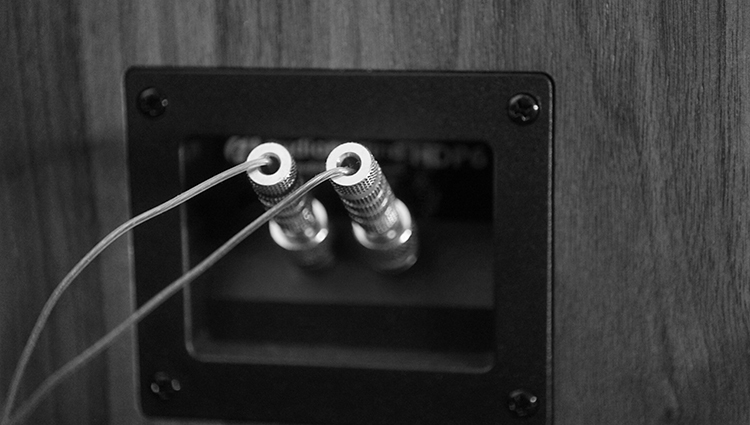 The case here plays out in reality with the HDP6: a musical low end with a lacking physical quantity. It leaves me vividly upset and wanting more. I keep a +10dB of bass quantity on at all times and I still feel quantity to be overly lacking. No sense of guttural or growling depth among the “larger sound field similar to large speakers” that was the intent of this speaker design in the first place. Hopefully, now you can see my plight. What is there, is just fine in quality. But, I really wanted more response to EQ here. It isn’t like it is paper thin sounding or anything, it isn’t. I’d call this the top areas of the tier called “Bass Light.” Not Bass-Moderate, but maybe a step below what I consider a moderate amount of bass. And with a +10dB active, I have to take points off due to the fact that the response to a large bass boost is not very apparent. The answer is no, the speaker does not response well to EQ at all and at the $500 tier, that is not a good thing. “A successful attempt to create a very large sound field out of a small enclosure.” – me. “Lacking bass depth and quantity makes the entire experience feel lopsided.” – me. Tragic. As mentioned, there is a stark contrast in heft to the entire low end, compared to everything else that goes big or goes home. The vocal experience of this speaker is very large sounding, projecting very well and clearly bloomed in terms of physical presence. Yep, I love it. I enjoy the LCD3-ish forward midrange and I think this speaker is pretty much the Audeze LCD3 headphone in speaker form (minus the bass experience). And that is a great thing for us listeners who enjoy that vivid, wildly engaging center image prowess experience out there. Not so great for those who enjoy a more laid back sound. With regard to tonality, the HDP6 is just about the most natural, uncolored sounding speaker in the vocal experiences that I’ve ever heard in this pricing area. Well, at least when it comes to designs like this in a 2.1 system of this size too. There are many other options out there that do it even better for more of your wallet, such as the amazing Ryan 610 speaker set (which costs 3-4x as much as the HDP6). Audioengine is correct in their boasts, this speaker sounds unlike most speakers of this type and for this price of roughly $500usd. I’ve not heard more than a handful achieve the heft, clarity, and forwardness of the HDP6…and those I have were all much larger enclosure speakers. With regard to tonality, the midrange is hyper-natural, but not clinical. 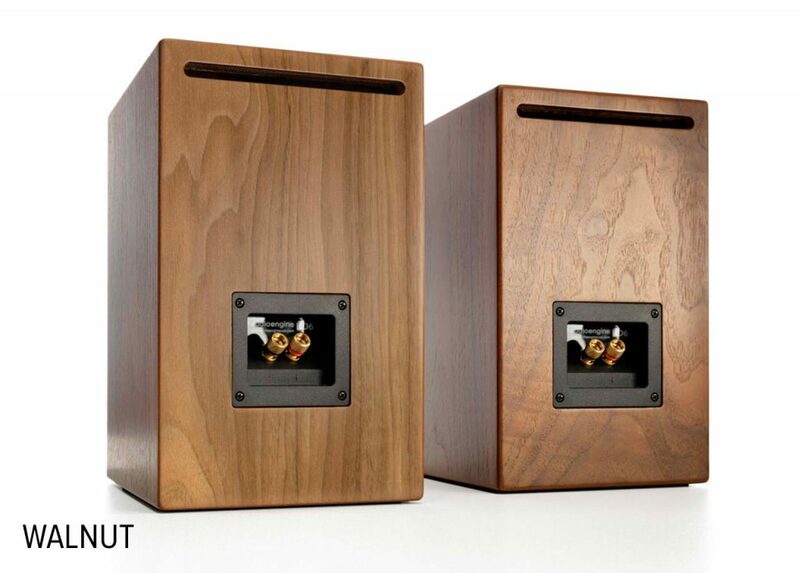 There are many other speakers that are laser cut, sharpened and even cold or sterile sounding. Yes, it is possible for an audio driver to house a natural tone, but also feel musical due to the soft edges, lack of impact and overall enjoyable sense of presentation. 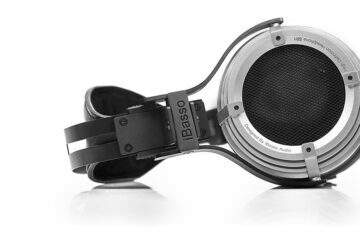 Ever hear an electrostatic headphone like the Stax 007 for example? That is pretty much what is occurring here in the HDP6 in terms of tone and presentation in a physical sense: soft dynamics, soft edges, a realistic formation of all sounds, vocalists and instruments, natural in tone, yet also very musical and fun to listen to. If there is a weak link in the chain, it is certainly the treble experience overall. Again, not bad, just not great or screaming amazing value. Yes, it is absolutely cleaner sounding than the older A5 and pretty much all $600 and under speakers, I’ve ever heard (JBL 530 isn’t that far off, IMO, when it comes to treble). 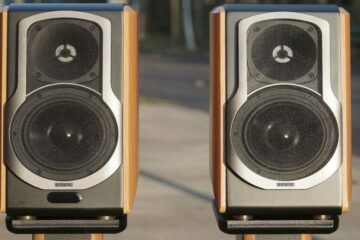 Even the older Rokit speakers had more zing to the top end. But, cycling back to the design intent that Audioengine opted for? Yea, I can see (hear) what they were trying to do. They wanted a bass moderate, mid-forward, smooth treble experience that sounds as large as possible. They succeeded, but treble quantity, just like the bass experience, has taken a hit in the quantity department. Quality is another story entirely. I find the experience to be one of the smoothest, if not the only super slick sounding treble in a speaker outside of that masterpiece Ryan 610 that I’ve heard in recent times. No, it isn’t nearly as good as the 610, but the 610 shares a similar physical setup to the HDP6. Smoothness was the aim here and I think that much is vividly clear. The designers wanted to make sure you never wince, blink or shoulder shrug when listening at normal 20×20 room dB levels intended to fill said room. This is not a very engaging speaker in that regard and it is much more suited for the large executive office, or the media room in your home and with neighbors in mind. Yep, larger speakers with a lot of impact will literally make landfall (with the walls and floor) in a very annoying manner. Everyone nearby will hate you and be bothered by it, especially if you own a Magnepan or an older Planar speaker that tended to offer very harsh physical slam. Thankfully, this is not the case at all with the HDP6, even at high volume. Just as a usage example, I toted this set to a party that was held in a 50×60 stone building. Out in the woods, this building resonated so vividly with my HDP6 playing inside, that I could hear it half a mile away and feel the resonance of the entire building 100 ft out. I cranked them up before people starting arriving, just for giggles and was met with immense clarity that I didn’t expect. So, at high volumes, these speakers perform well. In my listening room, which is only 15×15, they still perform very well at low to moderate levels of volume. Power requirements are nominal by comparison to what some claim is required. I am using a Harman HK3770 amplifier/receiver, which is low end, at least in my opinion. More watts doesn’t equate to better sound on these speakers. I fed them absurd power and didn’t feel them alter much, if at all. I did hear some difference from what I expected when I’d attended a small mini meet between friends, but I attribute that to room dynamics and not the speaker changing for the better with a lot more power than the 120w per channel this amp I’ve been using at home puts out. 100-200w is fine, you don’t need to go insane with this one. Remember, it is a smooth sounding amp so dynamics and heft will not change much with more power and there isn’t enough bass to suddenly manifest twice as much in the driver tuning anyway, so don’t bother. Stick to the 120w per channel range. While nothing physically changed with higher power output, the amp a friend used on this speaker was significantly cleaner than mine, so the result was a noticeably improved clarity across the board. 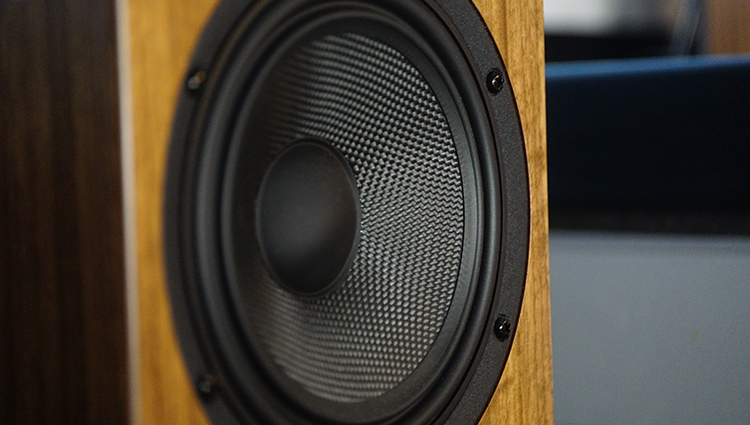 Yep, the HDP6 is a bookshelf speaker design with a very large sound field tossed out of it. How they achieved that, I’m not sure. But I shift back to the excellent, custom speakers out there that are 2 or 3x as big that can sound equally as large as these HDP6’s. My 15×15 or so listening room is more than filled and it only gets better when I move the speaker away from my wall. When cranked at that party, most people thought that party center building had a full sound system and inquired about how nice it sounded. My answer was nope, just those two speakers over there filling the entire building and resonating outside as well. Height, width, and depth of field are all very nice and a significantly large step up from the older A5. This is undoubtedly the biggest sounding bookshelf type of a speaker I’ve ever seen. Even if it isn’t classified as a bookshelf, it still is roughly the size of the A5 and + model from a few years ago, yet sounds more than twice the size and also much more realistic and well formed. That latter, “well formed”, is the hard one to get right with speakers. Most of the very expensive and huge tower speakers can sound overbearing and unsuited for a smaller room or office. The truth is that I don’t have a single speaker to reference here with regard to soundstage and imaging that really comes close to the HDP6. In this tier, for this type of a design, it is so vividly clear that this is the imaging king, unfair to compare to anything else from Audioengine in that regard…so I won’t try beyond what I’ve already stated. Excellent staging, I’ve not a single gripe. For such a small enclosure, the design intent Audioengine had in mind and shot for has absolutely hit the mark. They wanted a big sound and achieved it. My HK3770 is nowhere near clean enough sounding for these speakers. While the sound is nice despite that, I was privy to a much nicer amplifier powering this HDP6 at my mini meet…and I was floored by it. Then, I got sad over the fact that I can’t source the speakers directly with my own nicer audiophile grade sources. You see, there is a degradation of quality when I pair my source to the power amp, which then feeds the amplifier both power and audio. Perhaps, Audioengine can find a way to deliver just the power to the speakers and allow us to source directly the audio into the speaker, just like the older models did. That, my friends, would be an awesome innovation that I want and it would really increase the audio quality of the nicer speakers out there. Why complain over this? Well…great speaker amps are supremely expensive….and by the audio gods….I really mean expensive. We are talking multi-thousand dollars level. When you get a nice mid-tier speaker like this that scales up so nicely in quality, you can’t help but complain to the companies out there who make it and insist they find a way to satisfy what you currently have. It is a stupid desire of mine to see a speaker like that, which splits power on its own and lets you source audio directly via 3.5mm or even RCA. But, this is 2017 and I think we need to get out of the traditional mindset of how speakers function and start giving a $500-600 product more options. Just my two cents. Audioengine came out of nowhere with this one! Going from a standard, overall nice A5 series bookshelf speaker, to a mid-tier higher end speaker in the HDP6. It was a shock to me to hear clarity on this level, for this price, and in an enclosure that small. Yes, I really love this speaker objectively and for the most part. The midrange is buttery smooth and very forward, the treble is good and never harsh or sibilant. With that in mind, the bass end needs a quantity boost. Quality is still very good, but it feels like a bit more of a boost down there is needed and even at +10dB on my EQ, the HDP6 is still lacking quantity. Despite that subjectivity, on an objective level, this is a hell of a speaker and perhaps the best gateway drug speaker and first stepping stone you can buy that will lead you to the higher end speaker realm. This HDP6 would be the one I recommend from here on for this price tier. 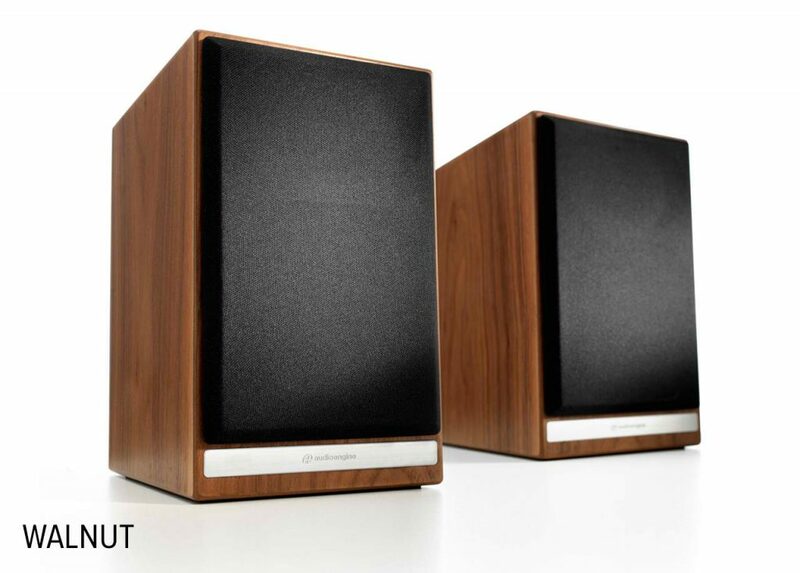 The A5+ was dethroned, which was my previous favorite speaker sub $500. Audioengine set out to offer excellent sound staging properties in a small, passive design and they’ve achieved their goal. This is an excellent speaker and it makes my older A5+ sound severely outdated. Highly recommended. Home media enthusiasts who don’t want a harshly slamming set of speakers, or office workers who listen at low dB levels, you’ll love this product. It is easily the best $500 or so speaker that I’ve ever heard when it comes to clarity and staging overall. Recommending them for low dB is a bit strange. I’m currently auditioning them at home; they are connected to a Naim Uniti Atom. My main issue is that you need to have them at a relative high volume level (60dBA+) for them to sound good. At low volume levels, they sound really distant. Also, I don’t have the option to EQ them. What constitutes “good” though for you, Thierry? I was recommending them for fidelity purposes and not for quantity. Despite not feeling in your face, and also requiring a ton of EQ to push that bass and presentation outward more, the clarity offered is very nice for the price. Not many speakers have tonality like this model in this price range that I’ve found. It doesn’t impact hard, it isn’t super annoying and it wont bother the neighbors, it doesn’t shake the house or apartment and sounds good for both music and Youtubing. It is a great overall set of speakers that just needs some power and a good source with some EQ on the low end to get the best out of it. On a PC desk, used for casual listening, near field, these are very nice and that is very, very hard to get without it sounding blaring, overly forward and icy up top. The trade off is that is sounds a bit relaxed and does lack on the low end. Id take that over peaky and overly snappy desktop monitors in that are hard to listen to for prolonged periods any day. You should’ve gone for the Elac UB5. For $500, they’re the best I’ve heard for the price and I’m a speaker snob too. No lack of bass either. I get recommended this often and will try to grab one for a future review! Sadly, I’ve not had a chance to hear one at any meets or gatherings, but peers of mine say it is wonderful.